Most people who are interested in health pay attention to the quality of food that goes into their body, yet how many people concern themselves with the quality of water they drink? Our bodies are 70% water and that means that good quality water is at least twice as important as food for helping our bodies carry out their normal processes. In fact, your blood is 93 percent water and your muscles are about 75 percent water. As an industrialized nation, you probably always felt lucky, or maybe you took for granted, the idea that we have easy access to good quality water, but what goes on behind the scenes? In order to make tap water potable, it must go through many stages of treatment. First, all dirt and other particles are removed through a coagulation process. Chemicals, such as alum are added to attract dirt particles, which sink to the bottom. The water is then passed through layers of gravel, sand, and charcoal to filter out even smaller particles. Chlorine is added to kill bacteria and microorganisms and it is placed in a closed tank or reservoir. It is then carried to our homes through a pipe system, which is usually antiquated and perhaps more than a little rusty. All these result in 'dead' water pouring out of your taps. There is still a great lack of understanding regarding the relationship of water to our health. In most cases we tend to oversimplify the usefulness of water, placing blind faith in any source. But all water is not created equal and it is the structure of the water within our bodies that ultimately determines health or sickness. Apart from having a good filtration system to weed out impurities from tap water, it is also important to revitalize the water before drinking it. 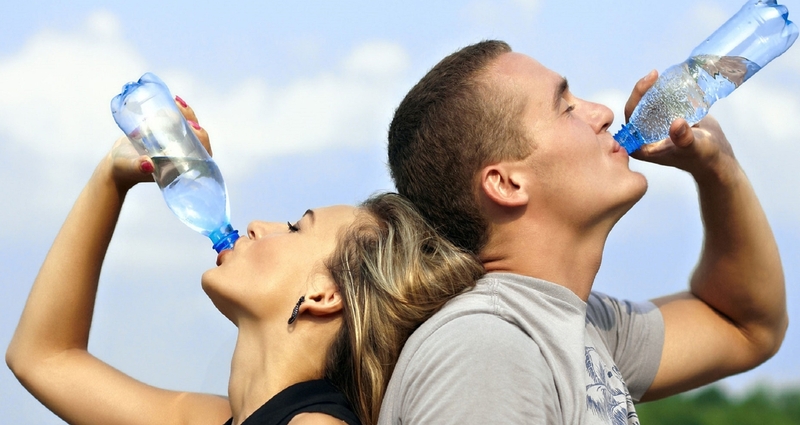 Resorting to drinking reverse osmosis or bottled mineral water will not help the cause as these are still 'dead' water. Healthy drinking water should be free of impurities, contain minerals ions, be alkaline in nature, and kept cool. It is said that one of the best sources of healthy drinking water is from the melted snow of the Caucasus mountains. Unfortunately, most of us do not live in areas where such water is available. However, there are ways we can produce healthy drinking water by the use of proper bottles and containers. Plastic and glass bottles and containers do not improve the quality of water. Only water bottles and containers made from natural materials such as clay, which have been in use since ancient time, are able to do this.